Phase Zero is the client who has an idea, knowledge, expertise, and/or experiences that they want to share with the world (or a great new business idea), and they haven’t started yet. • You have the ability to decide and get clear on your message that you want to share with the world. • You have time to identify your passions, your strengths, and what it is that you really love to do before you get started. • You still have the opportunity to identify and talk to other leaders in the industry about the feasiblity of your ideas. • You aren’t tied down to restricting publishing commitments that prevent you from having the freedom and control you desire. 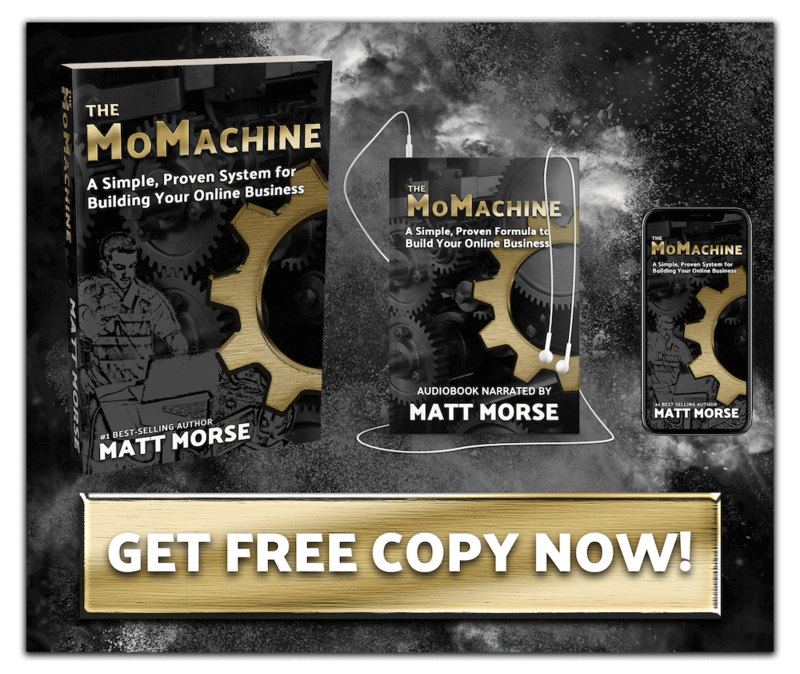 • By understanding how the Machine fits together before you get started, you will have a much clearer picture on what order and which things you need to focus on (and which you don’t) to have the greatest chance of success. • There are so many directions that you can go. Sometimes it can be difficult to choose one or to pick a niche that you are going to serve. • When you understand the Machine and how much fun it can be, you’ll immediately want to be in Phase 2 or 3. You must be patient in order to maximize the process and ensure that you are maintaining quality and over-delivering every step of the way in order for this Machine to work once you get to Phase 2 and 3. This client has already started to build an online presence. They have an audience of some sort (email subscribers and/or social media followers) and they are looking to figure out how to monetize their knowledge, experience, and expertise. 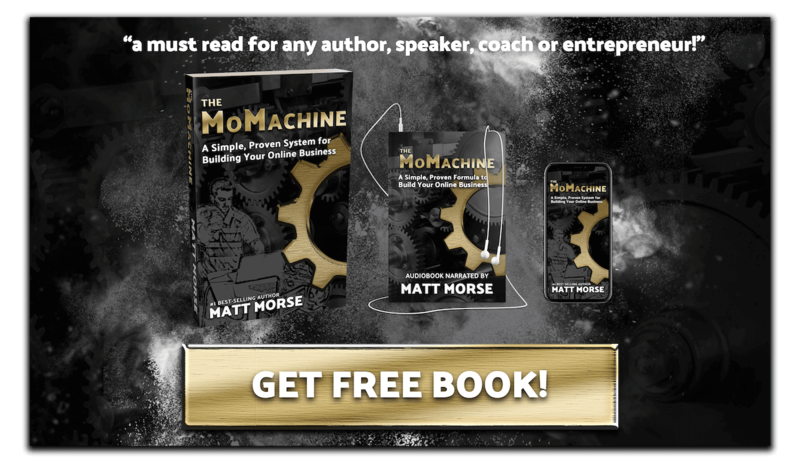 • You already have an audience, but you’ve never sold them anything… so you’ve built up a lot of reciprocity and can continue to do so all the way through the process of building out the Machine. In other words, you’ve never asked them to do anything. • If you’re in Phase 1, you’ve made many deposits and have yet to make a withdrawal. That’s a great place to be. • You’ve already got an audience and you want to make sure that you serve them in the right way… This can make picking which product and services that you really want to get behind more difficult. If you’ve established your presence, have an audience that you communicate with on a regular basis, and have products/services that you’re actively marketing, you are in Phase 2. • You are so close to breaking through and to having all the gears of the Machine turning for you. • You’ve probably got a ton of great content that you can share with your audience. • If you’ve already written a book(s), perhaps you didn’t launch them in the way that they deserve to be launched, so you can go back and leverage much of that content that you’ve already written or recorded, and start to share that with your audience immediately. NOTE: There is probably someone that you know who could help you curate the content that you’ve already created. That can then be scheduled out as several months worth of social media content or blog posts, which can then be emailed to your subscribers as a way to build up good will before you implement other components of the Machine. • Your presence online or your website probably only needs a few tweaks to really get to the next level in terms of reaching more people, selling more products, getting booked for more speaking engagements, and/or acquiring more clients. • You might have already promoted a specific product over and over to your list, so you’re going to have to get creative if you want to relaunch that product. • If you’ve already written a book, maybe you can take that to the next level by adding a deluxe video or audio program around that same content that goes deeper. This is the client who is rocking and rolling. They have a solid foundation, great content, products and services that are selling everyday, marketing funnels in place and are actively filling those funnels with paid advertising. They’re in a position to scale (or have already scaled) their business. It’s very organized and optimized. They’re focused on overdelivering their front end product or service with the Machine in place on the backend. They know exactly where to focus their time and energy to produce the greatest returns. • You’ve got it going. You’ve got a lot already in place with regards to the Machine. • You’ve already got a lot of numbers in your business that maybe you’re not tracking or haven’t organized yet, but when you go back and look at these numbers and these statistics, you’ll immediately know where your opportunities lie. 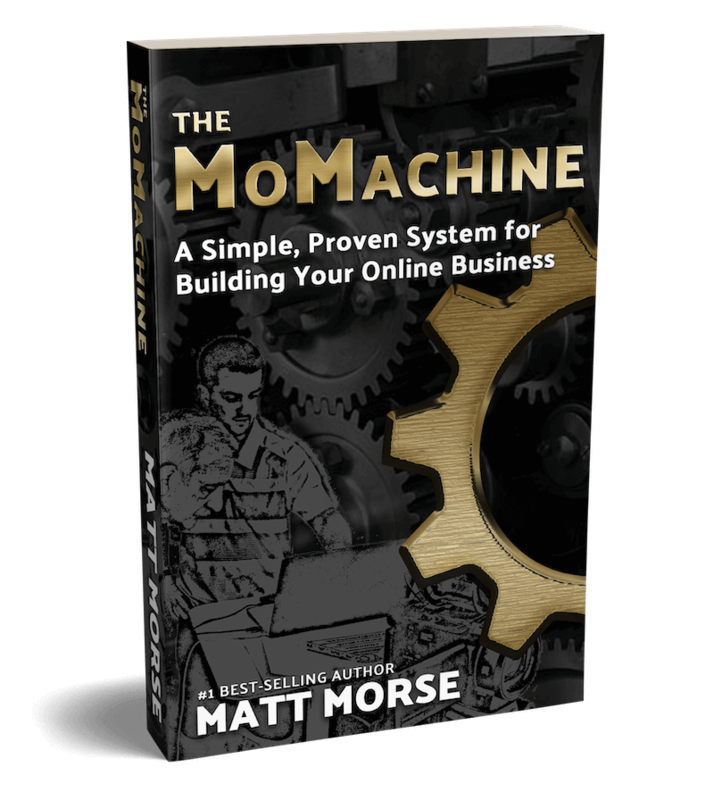 • You’re probably very close to making a couple small tweaks and seeing a massive difference in your results. • You’ve got multiple avenues and angles you can take on building out multiple funnels with your products and services. • You might have been doing this for a long time and the landscape is changing rapidly. It’s very important that you take time to step back from your business and look at what is being done, what’s working, and how you can innovate, how you can take your existing business to another level (by using what’s inside this book). • Some entrepreneurs in Phase 3 can quickly become complacent, which usually results in them becoming ‘bored’ with their work and less motivated to keep pushing forward. So, when a client approaches us, we identify what phase they are in. We get clear on where they’re at. Then, we look at what they need to do moving forward to get to the next level. NOTE: It’s important to move through the phases sequentially. 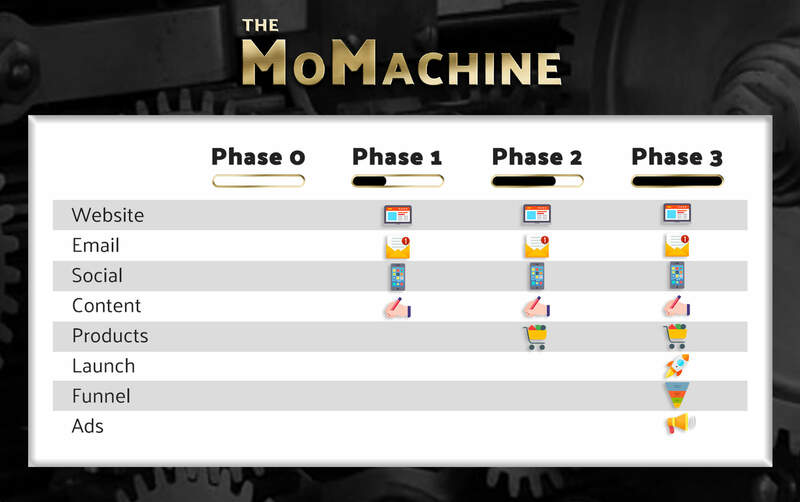 If you try to jump from Phase 0 to Phase 3, you will miss some critical ingredients to a well oiled Machine. If a client is in Phase 0, we work relentlessly to get them into Phase 1 as soon as possible. If they’re in Phase 1, our goal is to get them to Phase 2. If they’re in Phase 2, our goal is to move them to Phase 3.